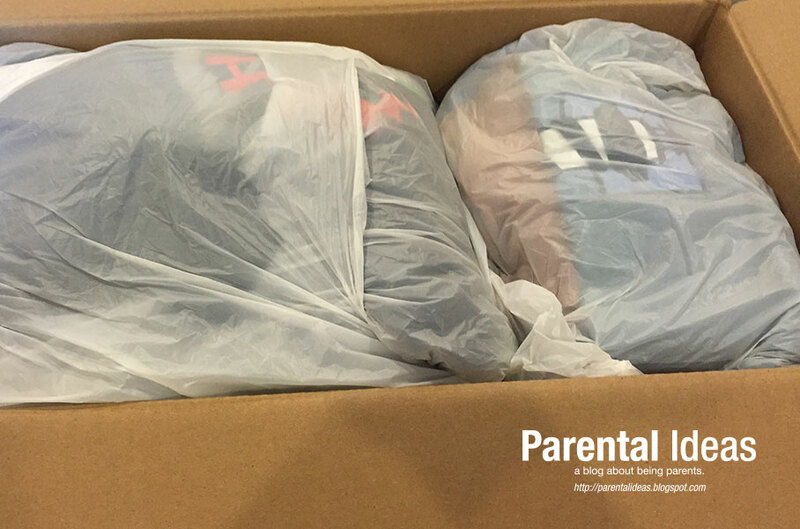 Parental Ideas: Have any old sentimental t-shirts lying around? Make a blanket! Have any old sentimental t-shirts lying around? Make a blanket! 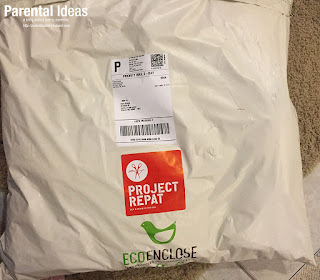 The great folks at Project Repat (a nice local Boston-based company) will take your old t-shirts and turn them into a great blanket for a very reasonable price. It all started when co-founder, Ross Lohr, was working in Kenya and decided to start a company that would take old donated t-shirts and turn them into bags, scarves, etc and then repatriate them (i.e. return to the country of origin) back to the US to be sold and raise money for non profits in East Africa. 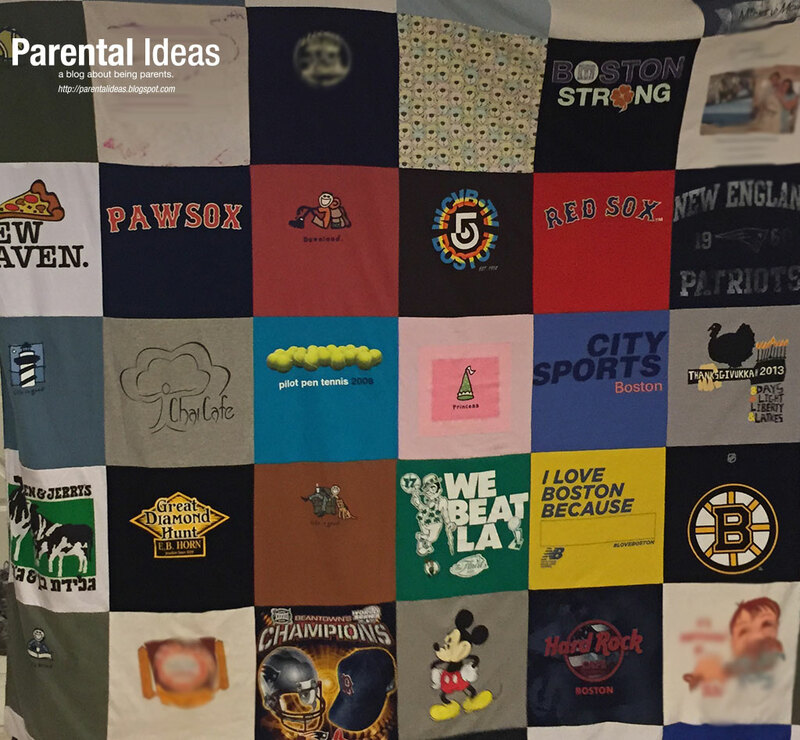 They realized while selling items in and around Boston, that everyone liked the idea of a bag made out of an upcycled t-shirt but didn’t like it to purchase it, however everyone was asking for a t-shirt quilt. 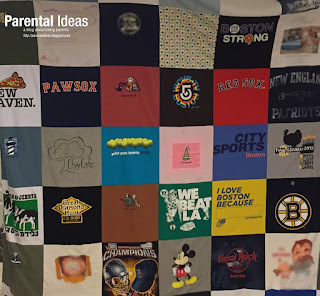 They partnered with two companies to do the work and make t-shirt blankets, Precision Sportswear in Fall River, MA and Opportunity Threads in Morganton, NC. This allows folks to take their sentimental t-shirts that were designed in the US, screened here and send them to have a blanket made rather than just throwing them out or donating them. 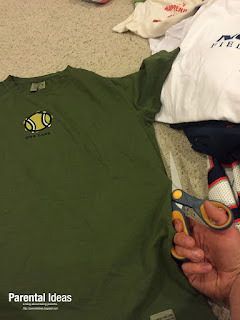 You have to cut the t-shirts out (which for our 49-panel blanket, took me an hour) and then package them up and send them to the location specified in your order (ours was in Fall River - a short 40 minute drive from our house). While some quilting friends of ours had asked why it won’t have batting (filler) or interfacing, the Project Repat folks are able to keep the costs down because they have found that by stitching all of the pieces of the shirts together and finishing the sides reduces the time it takes to make the blanket which makes it cheaper for you. They use a PolarTec fleece backing which was founded in Massachusetts as well. Our queen size quilt costs around $230 to make since we were using mens XL shirts the squares had to be 14x14. A few shirts were smaller so they added some fabric. One problem we found was that a piece of fabric ended up having a tiny hole in it. When I emailed their customer service, one of the founders(!) got back to me and offered to have us send it back in to get it fixed. Not only did they fix it in a prompt fashion, they also provided shipping both ways. 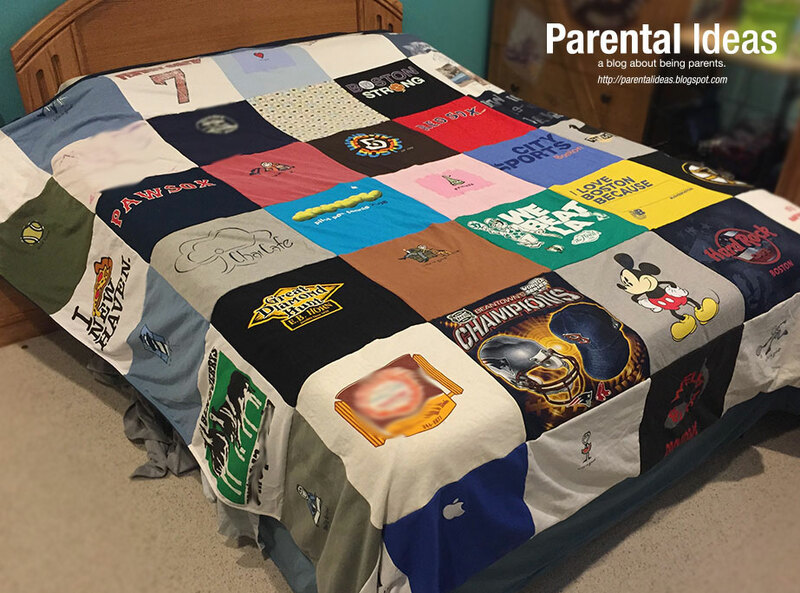 We are VERY happy with our t-shirt blanket and think it would make a wonderful family keepsake or gift for someone. If you are thinking of buying a gift for someone you can actually pay for a virtual “gift box” which provides for shipping in both directions for the recipient. 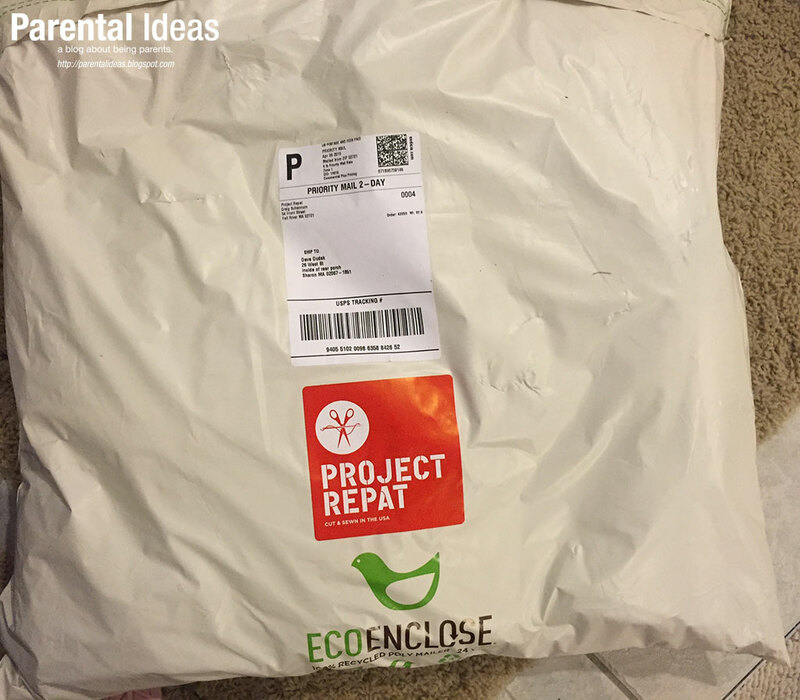 The regular product (like ours) requires you to ship the shirts to them and then they will send it back to you. NOTE: The Project Repat folks provided me with a complimentary blanket in exchange for this post. An affiliate link is being used in this article and I will receive a small comission. There was no promise of a positive review. No other compensation was provided.